Wellington Phoenix coach Mark Rudan was delighted after his side secured a precious point in a tense A-League stalemate with Newcastle Jets. 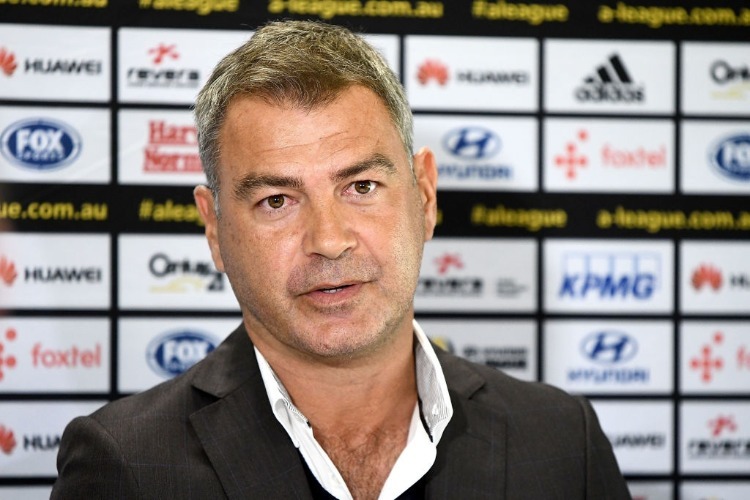 A missed penalty in the dying minutes stung but Wellington coach Mark Rudan knew a 1-1 draw with Newcastle was still a "huge result" in the race for the A-League finals. And with the Jets facing the added load of the Asian Champions League, Phoenix were eager to ram home their advantage. Wellington, still sixth, maintained an eight-point edge over seventh-placed Newcastle with nine rounds to go in the fight for the top six with an end-to-end draw at McDonald Jones Stadium on Thursday night. Jets keeper Glen Moss stopped a Roy Krishna penalty in the 88th minute but it was one of many missed chances for both sides in a game where Oliver Sail, a late replacement in goal for Phoenix, was man of the match and his Newcastle counterpart wasn't far behind. "It's a big gap, eight points," Rudan said. "Knowing that they are in the ACL now as well, it was important. "We obviously wanted to win the game and could have done so easily but from a mentality point of view, that's a huge result as far as we're concerned because eight points is a lot of points to catch up there. "We've got a better goal difference as well. You could almost add a point on for that, too, if it is the same. So superb by the boys. "This is the last run home and the boys are eager, eager to get out there. They are fresh, there's no injuries, apart from Filip Kurto." The goalkeeper was a late withdrawal because of illness but Sail, like in the 3-1 win over Sydney in round seven, proved more than an able replacement. Phoenix and Newcastle now have the comfort of back-to-back home games in the A-League but the Jets first have an ACL qualifier against Indonesian club Persija Jakarta at McDonald Jones Stadium on Tuesday night before hosting Melbourne City on Friday night. Post-game, Jets coach Ernie Merrick said "the changeroom's like a morgue" and he questioned how his squad was going to recover for the two games given they were already "totally exhausted with all these midweek games". He said the ACL commitments would make it hard to catch Wellington in the league. "Once you're in the group stage, you are given time off," Merrick said. "But in the two qualifying games we don't have any time off, and if we win the first one, the second one is against the champions, Kashima Antlers, over in Japan, so that will be a challenge for the boys. Wellington host Melbourne Victory next Friday in round 19.